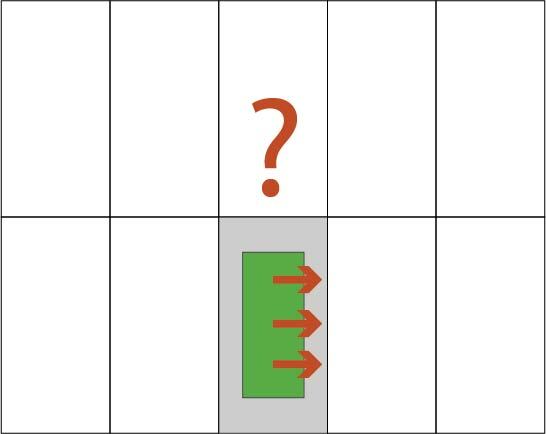 In this post we’d like to revisit a topic from a few weeks ago; corners. We talked about how the ability to orient the front of a building along the long face of a lot, facing the street has many advantages. These advantages benefit the individual building and its occupants, and the community as a whole. As the weather gets warmer and we spend more time walking around our neighborhoods, we’ve noted quite a few sad cautionary tales that remind us why this is so important. What happens when we try to orient buildings on the long edge of the lot, on a mid-block site? While it’s possible to make a decent project on sites like this, with the units oriented to the long side, developers who try it frequently fail. Let’s take a look at why this is so hard to pull off. Apartment buildings are generally composed of repetitive elements. In a side oriented building there is one generic element, a unit or stack of units. Added together they make a loaf. This loaf can, in theory extend as long as there is land to put it on. It’s only limited by the lot size. Picking one module, or slice, we note that only the crusts make up the outside faces of the unit. This sad wall was found in Irvington. There are two real problems here. The outside faces of these units are relatively land locked, with a claustrophobic vista of the adjacent lot lines and whatever is built there, often as little as 10 feet away. Their doors and windows don’t interact with the public realm, making the units isolated from the outside world, and making the building a black box to passers by. It doesn’t engage the neighborhood and provides no ‘eyes on the street’ except for an occasional half-assed attempt to punch some openings in the end face. Which brings us to the other problem. This sad wall was found in Buckman. Occasionally, somebody gets it right. 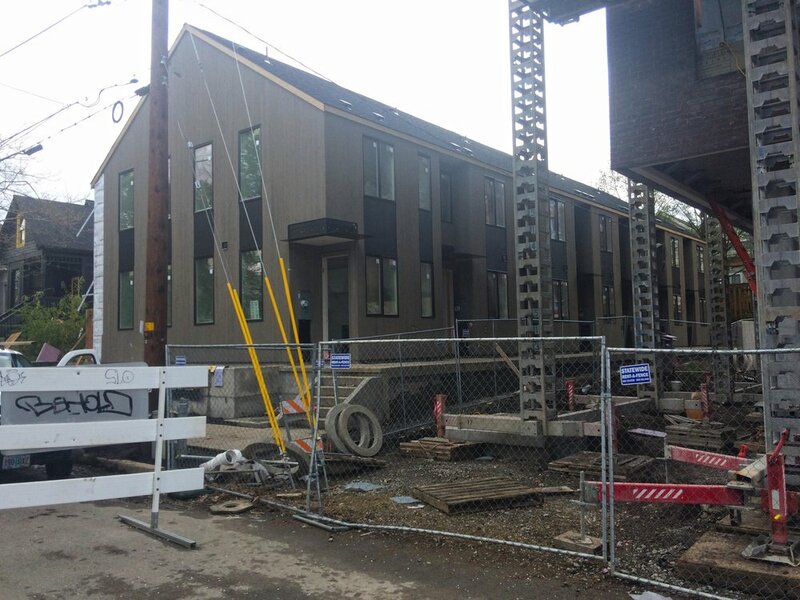 We’d love to know more about this project, located in the Eliot neighborhood at 422 NE Ivy. The designer created a completely unique face for the street facing wall, with an elegant, symmetrical, well proportioned composition. Instead of a blank wall, or an awkward afterthought, this designer has succeeded in creating an intentional front face for this six unit rowhouse development. We look forward to doing a case study in the near future. 422 NE Ivy. A happy wall, for a change.